Not much to say here. 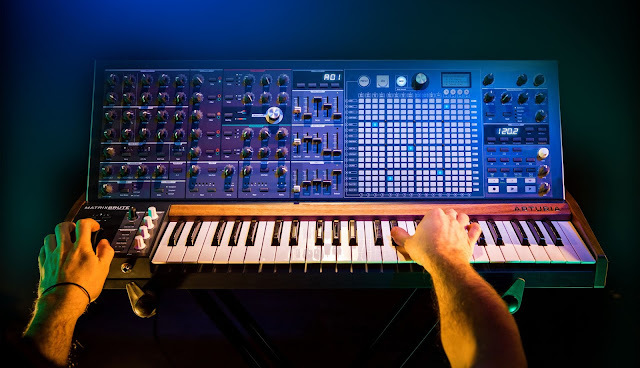 Just found out through the vintagesynth.com forums (via TheKeytarist via Mr. Arkadin on the Moog forum) ... should be properly announced at NAMM. Rumored price: $600. 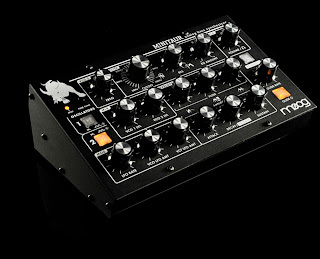 Let's hope-- This could mean a Moog for almost every producer! 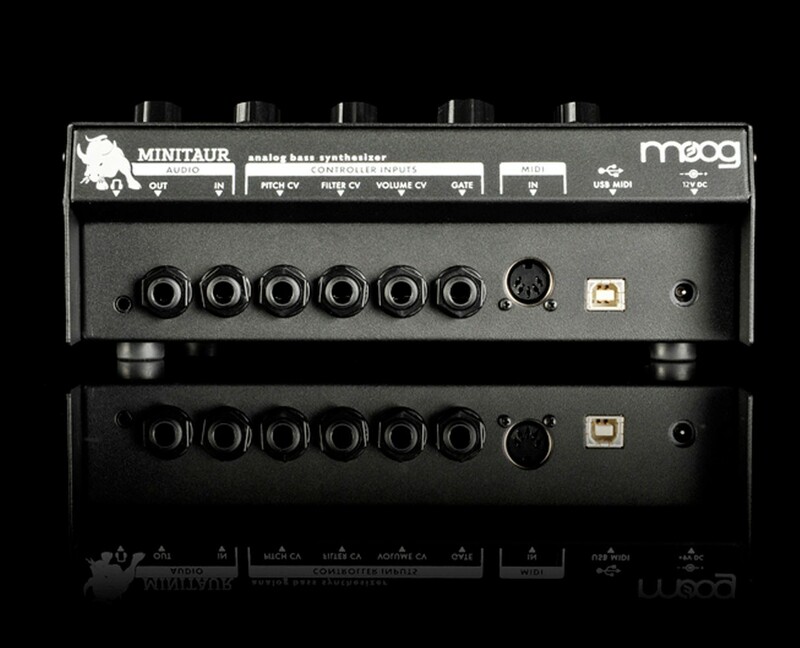 The MINITAUR is a compact table-top monophonic MIDI-and-CV-controllable analog bass synthesizer module with a 100% analog audio signal path, based on the design of the Taurus 3 bass synthesizer. 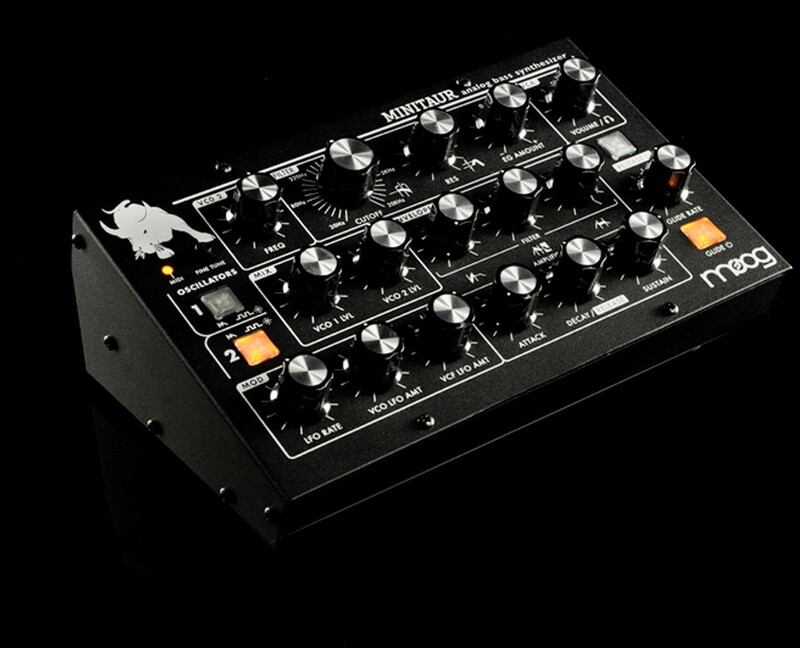 The front panel features a knob-per-function design, for maximum real-time tweakability. 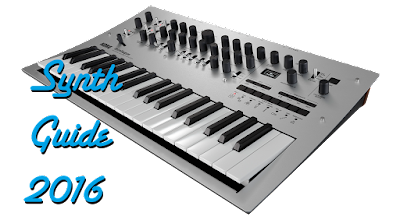 There are no internally stored presets, but presets can be created and managed via MIDI. 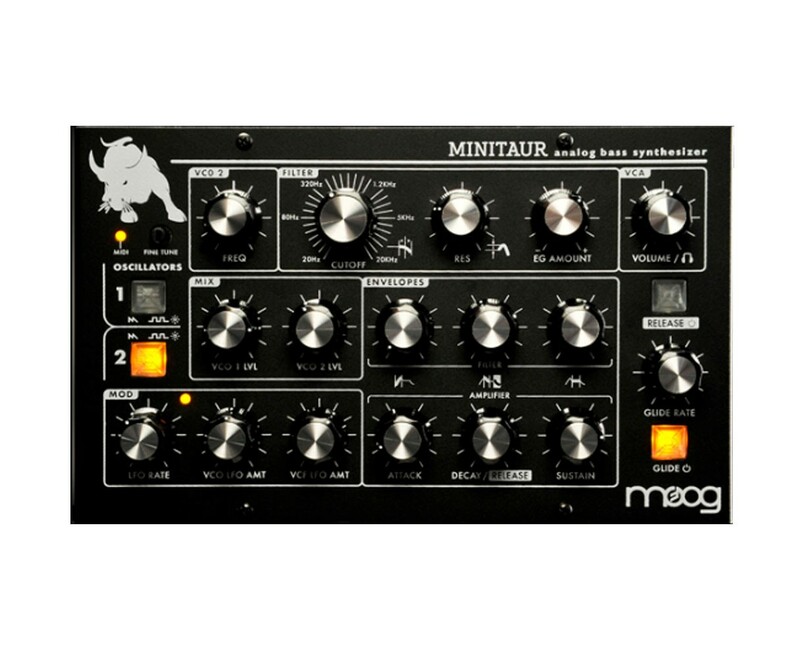 The MINITAUR has several new features added to the classic Taurus synth engine, including an external audio input, that expand the basic synthesis and sound design capability of the instrument. 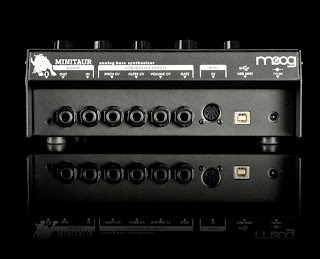 Minitaur fits right into the computer based music production rig or is easily controlled via MIDI controller. 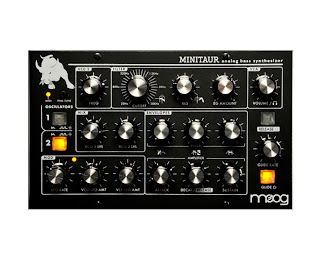 100% analog audio signal path based on Taurus I and Taurus III synthesizers.